An interesting story so far, at the moment heavily inclined towards a medical testing setting. How this will change with time is something that will be interesting to see. Overall few mistakes, most of them relating to punctuation, a good read I'd recommend. Since the story had just begun, I won't be able to speak much about it. First of all, the style of writing is interesting although there are several grammar errors here and there. However, it does have a dark, mysterious, and suspenseful beginning which makes you wonder what will happen next. 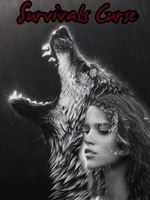 I'm interested in how the author goes with the whole werewolves and the whole Alpha and lyncan thing. And then suddenly, as if overnight, the world erupted in chaos. A virus was released among the humans. I'll be the first to say, that we stood by and did nothing. Like any and all segregation in history, werewolves had been treated as nothing less than dangerous beasts. To be enslaved or worse. We watched them eat each other, devouring, and destroying themselves as a whole. We were content simply to sit back and let it ALL happen. But like any good story, there's never a SUCCESSFUL werewolf story without Rogues. I'm sure you see it now, this story, MY story, isn't like others. I don't blame the rogues for ruining us. I blame the humans. They were the idiots who created the virus. They were the reason our food sources dwindled. THEY caused the rogues to break down and feed on the Zombies. Like any chemically engineered virus, it mutated. Infecting our kind. Those infected, came to be called Wendigos. That's how all of this got started. That's how our Survival came to be just another curse.